We only have to have a flurry in the UK for our Facebook walls and Twitter timelines to become knee-deep in Instagrams and phone pics of the white stuff. But when you book your big day for the end of March you don’t expect that it will literally end up a white wedding. I’m generally lucky with the weather. 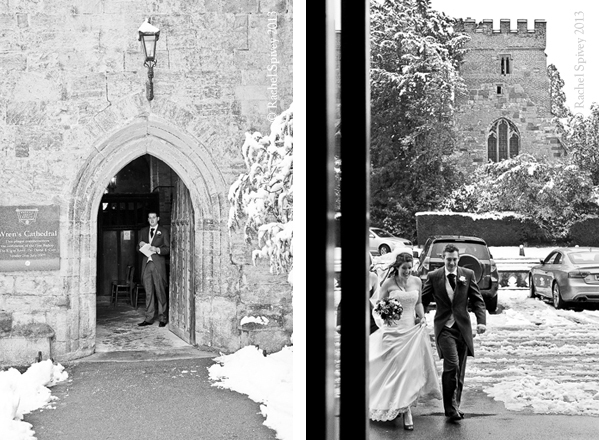 Even on rainy days I’ve been on the receiving end of some very timely dry spells, though in the seven years I have been shooting weddings I have never had the chance to do one in the snow. 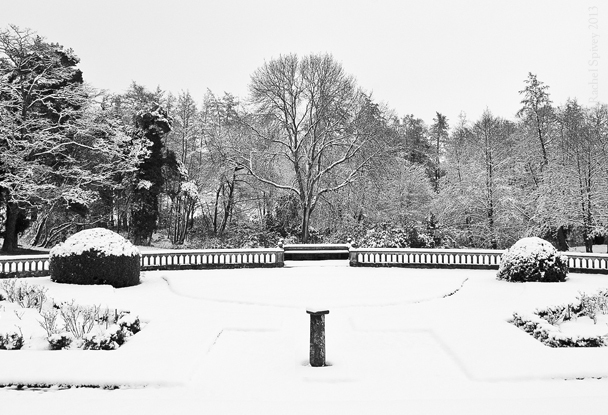 What time is it when you can’t see your sundial for snow? All told I have now done three weddings at Wroxall Abbey. 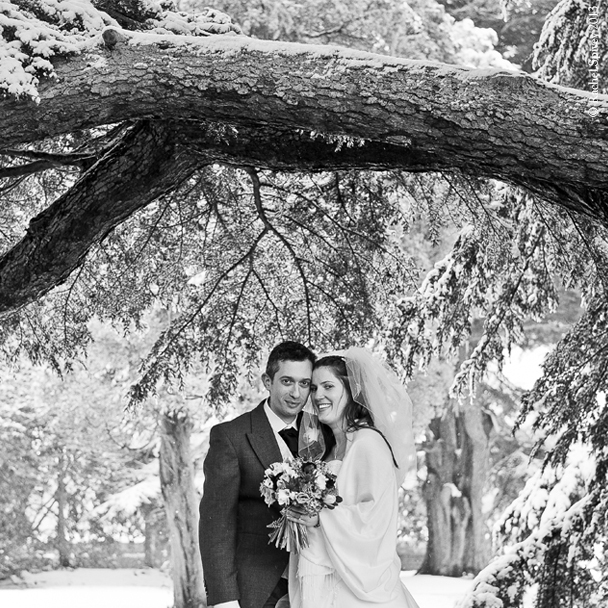 It’s a lovely, grand venue with an authentic period interior and well-kept gardens. 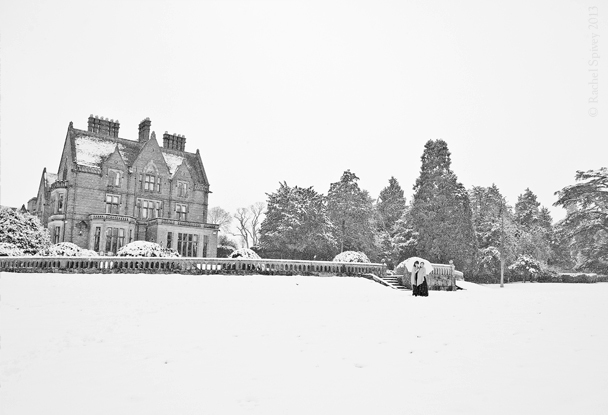 In fact, it’s pretty enough with out a romantic Narnian makeover, but after a heavy fall of snow it was beautiful. 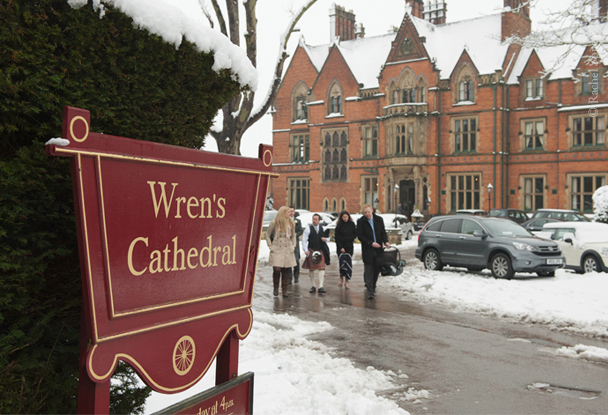 The ceremony was held in Wren’s Cathedral, the small church in the Abbey grounds. So named after Sir Cristhopher Wren who, having done well in the building trade, bought the estate for his son. I’d reminded Kim and Jon to bring wellies and happily they were up for braving the elements and taking a few shots in the grounds after the ceremony. Technically speaking I had to compensate for the brightness, but other than that it was business as usual as we took some formal portraits and tried to capture as many candid shots of guests as I could. 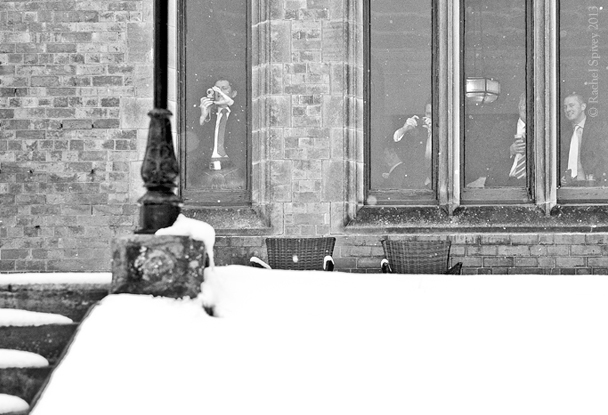 The guests weren’t quite so keen to get out in the cold. As always I shot in colour and let my instincts guide me as to what shots lend themselves to a black and white conversion after the event. I think a lot of these shots really lend themselves to more stark contrast. 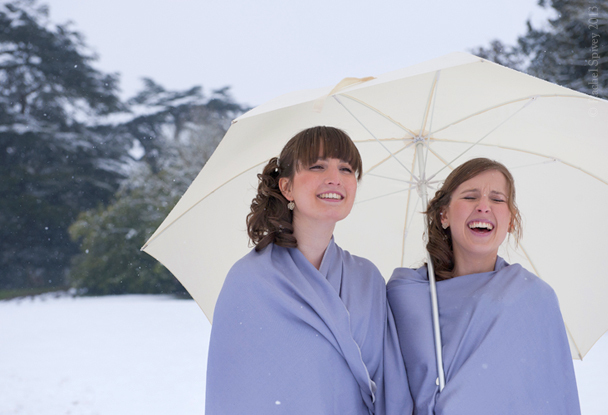 It’s great that everyone was such a good sport, even Kim’s sisters the bridesmaids came out to help carry the dress over the deep snow. I know we could have taken some shots in front of some stately fireplace or other, but I love these and in Kim’s word’s they ‘captured the magic of their day’. While our weather still appears to be stumbling towards some sort of spring I remain hopeful we will have a summer full of sunny Saturdays. Though whatever it does, I’ll be out in it. 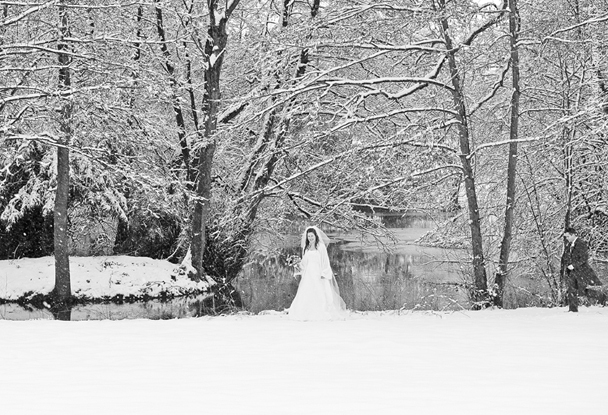 I was talking to a bride on my facebook page who loved the fact that it snowed on her wedding day, she said it added to the magic too. Not sure I’d be pleased about it if it happened on my wedding day though. I got married at the beginning of April in 2007 and we had perfect spring weather.